On the 23rd day of August 1899, pursuant to a notice published according to law, an election was held by the duly qualified voters residing within the territory as follows: the southwest 1/4 section eleven, in township number 31, north range eight, east of the third principle meridian, in the county of Grundy, and the state of Illinois; said election being held to decide whether said territory should become organized as a village. The returns of said election were canvassed according to law by A.R. Jordan, County Judge; C.D. Young, Justice of the Peace and W.W. Pike, Justice of the Peace and the result declared as follows: for incorporation by thirty-nine votes. The first election for village officers was held on the 19th day of September, 1899, and the following candidates received the highest number of votes and were declared elected trustees: Robert McNulty (President), William Purdy, Martin Farraro, Patrick Corrigan, Hugh G. Young, and John Hammer. The village trustees then appointed the following officers, Michael Finn, Clerk; Walter Ferguson, Treasurer; William Walker, Constable and Street Commissioner; Levi Simms, Police Magistrate; and David R. Anderson, Attorney. The village was first named Lawton for General Lawton who fought in the Spanish-American War, but in May 1900, because it was preferred by the mining company, it became South Wilmington. By early 1900, South Wilmington had its first school, a one room building that had been moved in. The miners would pay a fee of twenty-five cents per week to operate the school and to pay Miss Carrie Peart, the first teacher. In the autumn of 1900, district 74 built a four-room schoolhouse and in May of 1902 four more rooms were added. 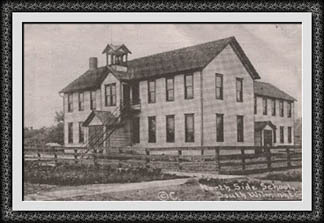 In 1905, school district 68 was formed and built a school on the south side of the village. By 1914, South Wilmington's two schools, district 74 and district 68 combined had 977 students enrolled. 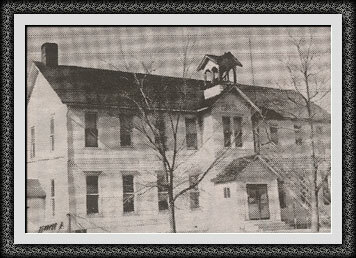 On January 19, 1954, the present grade school was opened with an enrollment of 132 students. The first gas streetlights were installed in 1900 and the city hall was built in 1901. The first post office opened in March of 1900 and Robert McNulty was the first postmaster. The village dug its first well and installed the first water main in 1908. In its early days, South Wilmington was well known for its baseball and basketball teams. The village once had six grocery stores, a baker, a hotel, a bank, two theaters, two doctors, a dentist, two ice cream shops and many saloons. In 1951, the volunteer fire department was organized. South Wilmington grew with the coal mining industry. When a second mine opened in 1908 and a third mine in 1912 South Wilmington had a population that reached more than 3500. The last mine, number 3 was abandoned in 1926, although it was acknowledged one of the richest veins in the state. Hundreds of South Wilmington men were out of work when the mines closed and many moved to the coalfields of southern Illinois. Many of the townspeople even predicted a quick death for the village. It was a trying time for the people. Employment was scarce and the depression ate into life savings. The populate of the town rapidly dwindled, but many people stuck it out and slowly the village began to grow again. Two local men, John Skinner and Alex Densmore, reopened and operated the number three mine in 1927, providing some employment for village men until its final closing in 1954. It was the last operating shaft mine in this part of the state. Peabody Coal, with its strip mining operation, the Joliet Arsenal, Uniroyal and Caterpillar all provided employment and helped the village to survive. South Wilmington is one of the very few villages in the state of Illinois that did not dissolve when the railroads left. Its many determined citizens would not let it die.